Sep 05, 2016 Sorry to hear that you are not satisfied with your installation. We have every desire to address your needs and provide the best solution available to resolve your issue as soon as possible. We encourage you to reach out to our dedicated service and support team. We can send out a local technician in your area to address your situation and provide a solution. Our team can be reached at 800-749-4566. Went to a show and saw the leaf filter booth. I asked the salesman for a general quote. When I had them come to my house, the quote was 4 times higher than the original. Against my better judgement, I purchased the product anyway. Two months later my gutters are a complete disaster. It looks like an amateur installed my gutters and after harsh weather, I still have to do maintenance on them. Ridiculous. I will never recommend leaffilter to anyone. 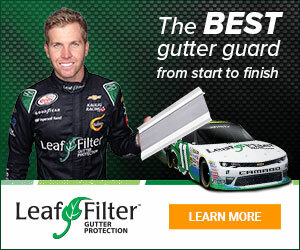 They are a poor excuse for a gutter protection company. The salesmen should be ashamed of themselves. Review #799314 is a subjective opinion of User799314. Sorry to hear it. My gutters now overflow with just a little rain. I'm going to remove the gutter protection where it overflows the gutters and just go back to cleaning them twice a year. Did you call them? I can't stand people who review things with no attempt at resolution! I get the impression you are simply wanting to be pissed at the company, or you would have called them back, as most would've done.... No matter what the industry, installers make mistakes, that is a fact. Follow-up service and response to complaints is what separates the Great companies from the rest. False review from a competitor. Read consumer reports. Do you realize that consumer reports gave Gutter Glove the highest score? And a much lower cost per foot.